From the use of bright colors to the special equipment designed to be used by children of all abilities, Frank Kent’s Dream Park aims to make playtime a reality for everyone. While winter turned the landscape brown and the trees barren, a colorful oasis has appeared in recent months in Trinity Park. Despite cold, rain and mud, workers labored to bring Frank Kent’s Dream Park to life for its April 15 debut as one of Texas’ biggest inclusive playgrounds. 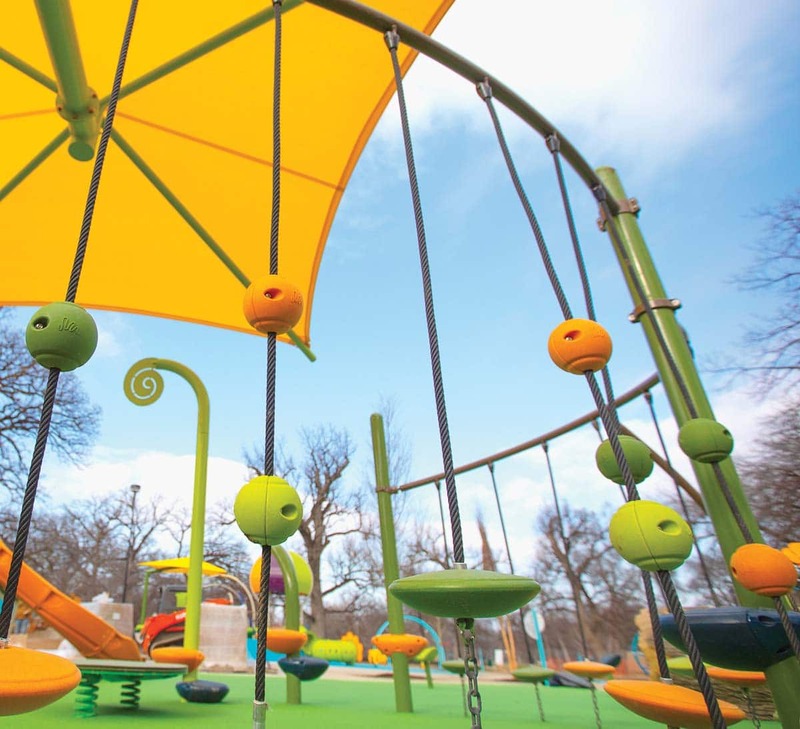 Dream Park, which has been in the works for the past five years, is filled with equipment in cheerful colors of turquoise, orange and lime green and includes 57,000 square feet of fenced play area and green spaces. 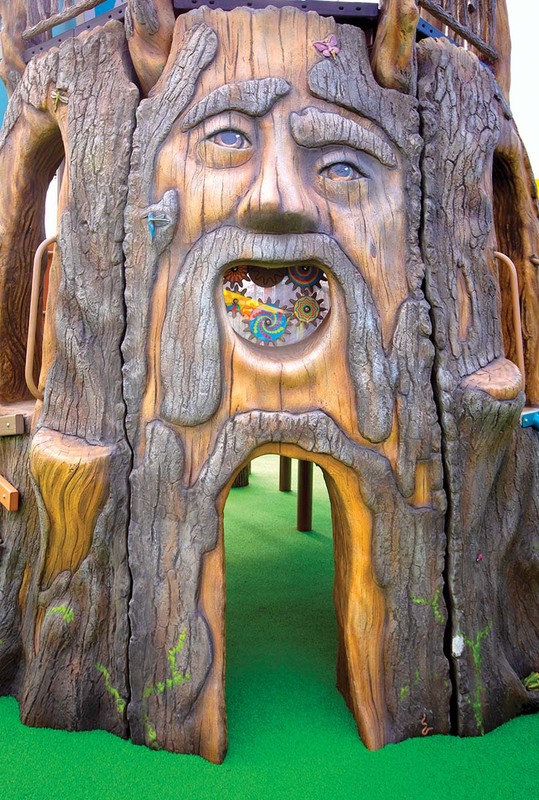 The treehouse not only features a face, but offers multiple levels with ladders and slides. The gear panel promotes the development of motor skills and more. The playground equipment is not your typical swings and slides. A yellow shade structure towers over the SwiggleKnots Bridge, with suspended ball knots and discs for climbing. Parents and caregivers will appreciate the extra-wide sidewalks and new parking lots, too. 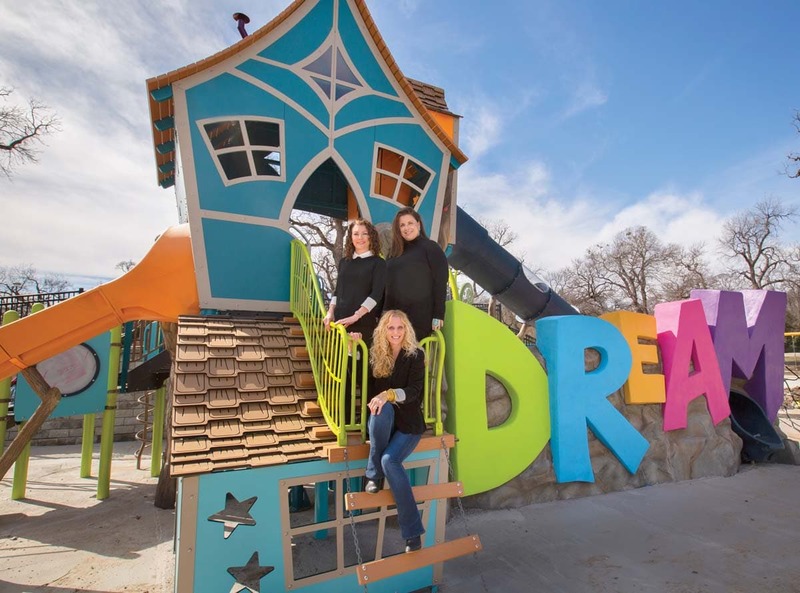 Dream Park organizer Rachael Churchill says that the new playground will be given to the city of Fort Worth in mid-April, with a ribbon-cutting event planned for June. To fund the park fully by private donations, the board has held numerous benefits over the past five years. Sponsorships are still available as the board works toward securing the final $50,000 of its $3.11 million goal. To reach Dream Park, which replaced an old playground, enter Trinity Park from the main entrance on University Drive and head north until you see it on the left; for more information or to donate, go to dreamparkfw.org. 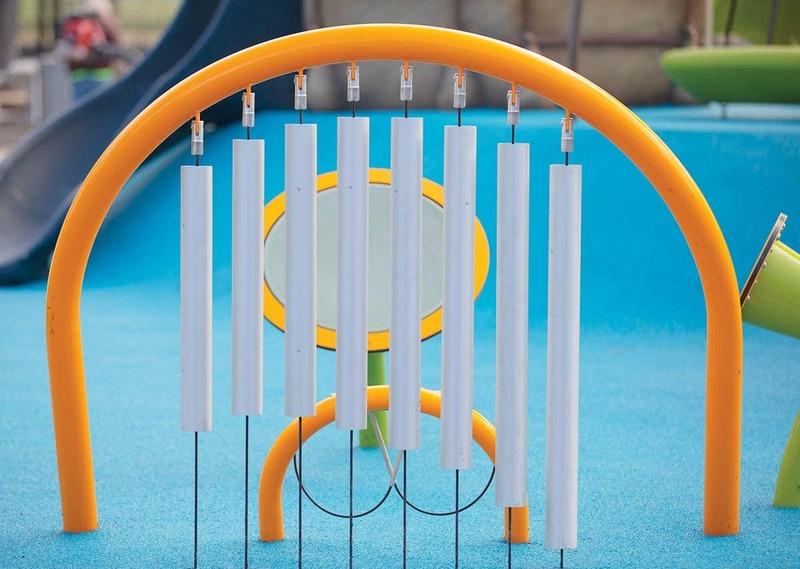 Instruments like musical chimes and drums, left, inspire visitors to get creative. The colorful Pour-in-Place rubber surfacing is seamless, durable and slip-resistant, making it easy for wheelchairs and walkers to navigate.